Basil Plant And Flies: Does Basil Keep Flies Away? Herbal plants have many beneficial properties. Some herbs are useful companion plants that prevent pest problems. It is said that basil can keep flies from pestering you. Does basil keep flies away? Let’s separate the fact from the fiction and get an answer to the pesky question regarding basil and flies. Basil is one of the warm season herbs that are classics in summertime cooking. The plant requires plenty of sun and heat but basil can be grown indoors by a southern window for convenience. 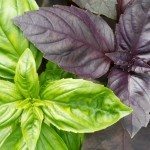 There are many varieties of basil, adding a twist on the plant’s flavor in essences of citrus, licorice, cinnamon and spice. The intense scent and oil in basil and many other herbs are often used to deter common household pests. The pungent herb seems to repel flies and basil pest control has been used since ancient times. Basil is intolerant of cold temperatures and needs a full day of sunlight. The plants are useful as potted herbs in a sunny, bright kitchen or outside in the warm summer months around the vegetable or herb garden. Potted basil plants require well-drained soil and should not be allowed to stand in a dish of water. 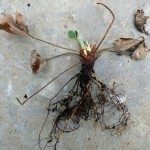 Soggy soil attracts small gnats and basil plant flies which are annoying and difficult to remove. 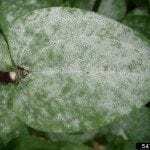 Outdoor basil plants are susceptible to whiteflies in spite of their ability to repel domestic house flies. Repeated applications of a horticultural soap may help get rid of basil plant flies. Basil pest control seems to have limited effectiveness when the pests are actually on the plant! Does Basil Keep Flies Away? Most herbs with strong oil content and scent appear to have some repellent properties for domestic pests. Basil contains very heady oil and is useful in the kitchen to keep small gnats and flies out of food. Small moisture gnats that live in the soil of potted plants are also foiled by mixing in some dried basil to the soil. The plant doesn’t kill flies, but anything that prevents them from contaminating the kitchen and food and is non-toxic is a useful product. In a nutshell, information on basil and flies is more in the form of folklore. That being said, you can try the basil method because the worst thing that can happen is you have a fresh lovely herb to use. The best is a pest-free kitchen.